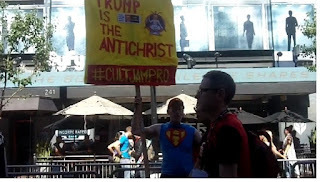 CultJam Productions Blog: AT San Diego Comic-Con as Hipsterman promoting "Trump Is The Antichrist"
AT San Diego Comic-Con as Hipsterman promoting "Trump Is The Antichrist"
Troy Davis writes: I'm at SD Comic-Con dressed as Hipsterman, the Postmodern Superhero. 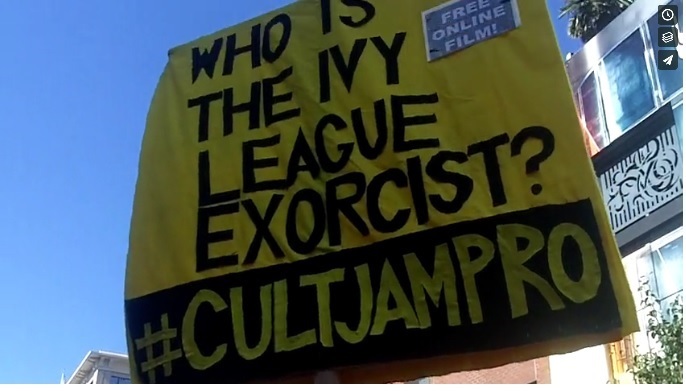 Have a HUGE double-sided sign promoting Trump comic book and our film Ivy League Exorcist: The Bobby Jindal Story. 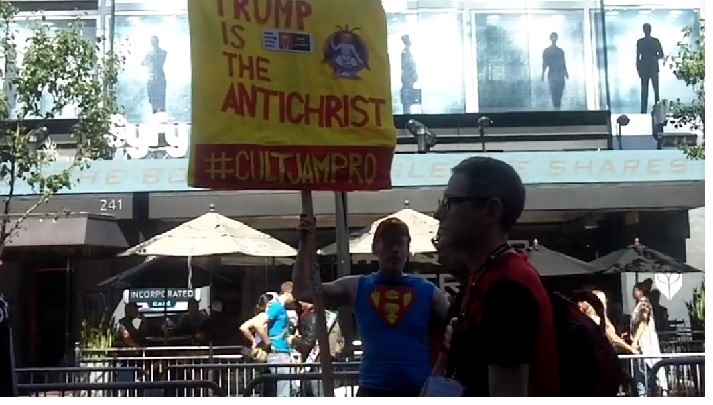 I stood next to Sharknado promoters. Literally hundreds of people took a photo. Entertainment Tonight was reporting nearby. 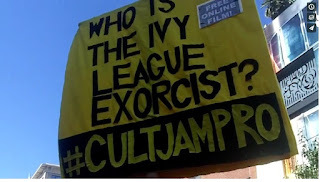 I heckled them as "sellouts to the Hollywood machine."